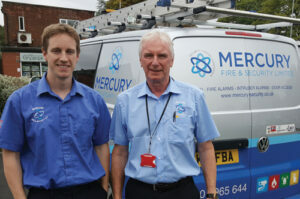 Ashley and Lewis Foster are two members of the family behind Mercury Fire & Security in Nottingham. We caught up with Director Ashley and his son, General Manager Lewis, to talk about working life in the business that counts intruder alarms, CCTV, fire, door access, risk assessments and more as areas of expertise. A: We use ADI for most of our purchases. We also use Dynamic CCTV and Enterprise depending on what we are looking for. A: Going back to when we first started we were SSAIB certified as we very much recognised the importance of third party approval. Being NSI Gold accredited as we are now makes a big difference. When we go and see customers they often recognise the logo, but on the occasion that they don’t, we can talk to them about what it means in terms of insurers and the police support. In light of all this it is invaluable and gives us, and the industry, credibility. 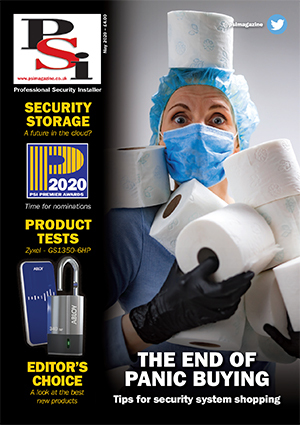 L: Even if people don’t know what the accreditation specifically means for them, the work that the NSI carries out such as liaising with insurance companies is valuable to the whole industry. The intruder industry is a good example of where accreditation works well especially with the onset of so much wireless home automation technology that can be fitted by anyone. The accreditation bodies are doing a lot to encourage consumers to use reputable companies for their installations. A: There isn’t really a typical project for us. We carry out work from domestic intruder alarms and CCTV through to commercial security work with schools, waste management companies and more. L: We are in a fortunate position in that we are not heavily dependent on one sector or industry. We have been growing for the last thirty years moving into commercial work to give us a good spread of areas in which to operate. L: A better availability of qualified engineers would be good however on a positive note I would say that the work that manufacturers and people like PC Data are doing in developing portals and apps that help us to plan installations and our working lives are a great help.